WooCommerce Vs Shopify: Which is Best eCommerce Platform? 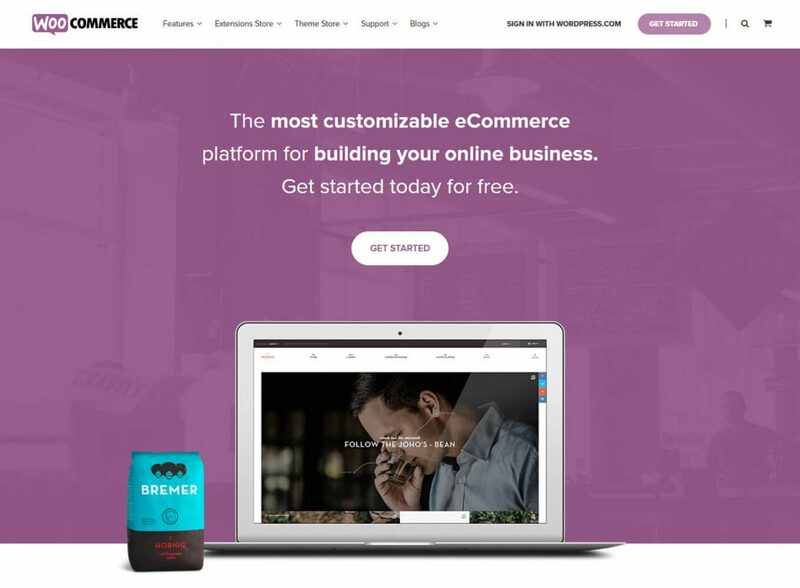 WooCommerce Vs Shopify – Which is the Best eCommerce Platform for 2019? We have seen eCommerce growing exponentially in the recent years. No doubts, it is becoming increasingly a popular business model. Be it a startup business or an existing one, eCommerce seems to be an essential part of a business these days. But luckily, there are several amazing eCommerce platforms to start an online store easily. Among them, WooCommerce and Shopify are obviously the top contenders. Both of these eCommerce platforms are awesome providing users a simple and efficient interface to start a business online. However, users are often stuck with a question “which is the best eCommerce platform?” Therefore this is a comparison of the two popular eCommerce platforms; ‘WooCommerce vs. Shopify‘ so as to provide users with the necessary information about the platforms. In order to help you draw clear lines of distinction between WooCommerce and Shopify, I have comparatively discussed the major features of these two platforms in 6 points as given below. You can click on any point if you want to read the section directly. Both WooCommerce and Shopify are simple and user-friendly. Both eCommerce platforms let you sell whatever you like including physical or digital products and services. Product management and order management features are included in both WooCommerce and Shopify. Both the platforms have good integration with multiple payment gateways including PayPal, Stripe, and Authorize.net etc. Both platforms are mobile-friendly and responsive. You can create discounts and coupons on both of the platforms. Both of the platforms provide you reports of the sales, and overall store activity. WooCommerce is open-source free software and a WordPress plugin. Shopify is a subscription-based eCommerce platform. It needs a web server and WordPress installed on the server to run. Therefore, you need to buy a hosting plan from third party hosting providers and install WordPress. It provides hosting with pre-installed Shopify so there is no hassle of buying a web host and installing software. You have complete control over your website data, design and functionalities. You can modify, extend the website capabilities as you like. Shopify controls your website data. You can only modify your store to the extent Shopify allows you. The website space depends on your hosting plan. You will get unlimited website space with Shopify. You have to look up to the hosting company for SSL certificate or manually get it. SSL certificate is included. No free subdomain is included. Free subdomain is included in every Shopify plan (For example: mystore.shopify.com). Besides, you can also buy a new domain from Shopify or connect your existing domain. Storefront is the official WooCommerce theme created by the same developers of WooCommerce. It is a free theme while there are some StoreFront child themes each cost at least $39. Besides, there are thousands of free and premium WooCommerce themes available. There are more than 100 professional Shopify templates, among which 9 themes are free. Additionally, there are more custom Shopify themes available in ThemeForest. Customer support: Support forum, support tickets from WooCommerce and also from the theme providers. 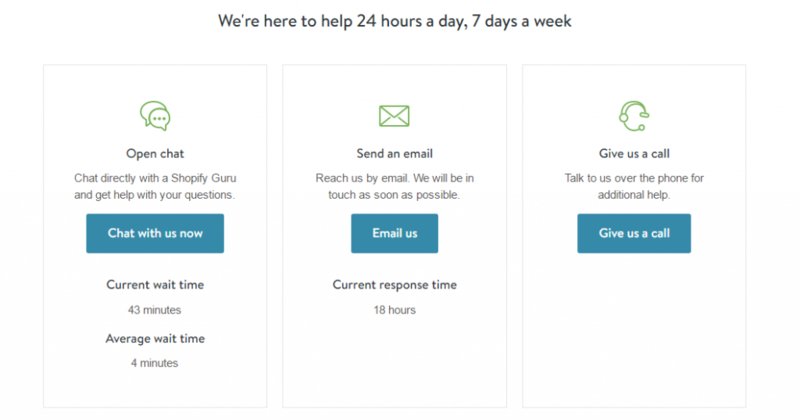 Customer support: 24/7 support from the expert team via live chat, emails, and phone call. Hope this table gave you some sort of idea. WooCommerce and Shopify are fundamentally different from each other by the way you set up an online store using them. WooCommerce is a piece of software that needs to be hosted by you while Shopify is a type of stand-alone eCommerce platform including hosting service for your store. In other words, WooCommerce is self-hosted platform while Shopify is fully hosted platform. WooCommerce is a popular WordPress plugin with over 3 million active installs online. It lets you create a full-fledged eCommerce WordPress website and therefore a popular eCommerce platform nowadays. Moreover, it is free open source software like WordPress which you can download free, use, and modify the way you like. So if you have coding skills, you can easily make some design tweaks as per your need. WooCommerce is not a stand-alone eCommerce system but a piece of software in the form of WordPress plugin that adds eCommerce functionality to a WordPress website. In order to create an eCommerce website with WooCommerce, you need a web server and WordPress installation. WooCommerce allows you to add as many products you like, sell the products and receive payments via various payment gateways. WooCommerce plugin is feature-rich yet it lacks extensive eCommerce features. So, there are some other WooCommerce extensions that add functionality to the WooCommerce core plugin. Additionally, there are plenty of free and premium WooCommerce related plugins by third party plugin providers. Shopify is a fully hosted eCommerce solution which provides an instant platform to create an online store. It is moreover a subscription-based service or solution. You have to sign up to the Shopify website with your email address and choose one of the available plans to start an online business with Shopify. Unlike WooCommerce, it is a stand-alone and independent eCommerce platform. When you sign up for any one Shopify plan, you are almost ready to run with Shopify hosting and Shopify software readily set up. Since a Shopify subscription includes hosting, you are free from finding a web hosting service and installing the software on your own. Shopify provides simple and comprehensive user interface where you can add your products, sell them, and earn money. There are plenty of in-built features in every subscription however those features may not be enough for you. But no worries, there are over 1400 Shopify apps which let you add the additional functionalities on your store. There are both free and premium Shopify apps for different features including marketing, sales, social media, shipping, customer service, etc. In the nutshell, WooCommerce and Shopify are fundamentally different eCommerce systems. WooCommerce is a piece of software that requires users to host on a web server while Shopify is an independent subscription-based service that comes along with hosting. Both WooCommerce and Shopify are essentially feature-rich offering almost everything users may need in a complete eCommerce site. The only difference between the features of the two platforms may be how these two platforms do the same thing and how much it charges the users. Both WooCommerce and Shopify are highly flexible and scalable doubtlessly. First, WooCommerce plugin is an open-source platform that allows third-party developers to modify the code, create apps and extensions for additional features. Therefore, there is almost every feature available with WooCommerce. That’s not all. If you are a developer, you can develop a WooCommerce extension on your own as per your need. You can sell any type of product, be it physical products or digital products including software, apps etc. Add an unlimited number of products and product categories. It has intelligent shopping UX including pre-installed payment gateways (PayPal, Stripe and more), secure checkout process, default currency, Geo-location support etc. It has flexible shipping options with built-in features like shipping cart calculator, prices display options, shipping destinations, restrict sales, shipping methods etc. WooCommerce has built-in tax features so as to help store owners get it simple and right. WooCommerce offers marketing features including discount coupons and codes. It is also good for affiliate marketing. It has built-in analysis and reporting features including net and gross earnings reports, sales orders, traffic, sales and growth trends etc. Shopify seems to have all the eCommerce features users need for an online store. It has plenty of built-in features including payments, checkout, store management, customer management, products etc. Additionally, there are a number of apps designed for specific features. It’s the strength of Shopify that there are plenty of apps available for free. You can add an unlimited number of products and organize them by category, type, season, sale and more. Shopify has simple and secure payment options. It accepts credit cards, allows you to add your own credit or debit terminal, split tenders, gift cards etc. Get all the checkout features including discounts, order notes, shipping, custom sale, and taxes. Shopify has brilliant store management features including refunds, order history, cash float, daily totals etc. It has better customer management features. It automatically creates customer profiles with new orders, lets you synchronize the online and retail customers’ information and helps you run email marketing. Shopify offers an actionable dashboard of your sales, orders, traffic, and more. In the nutshell, both WooCommerce and Shopify are splendid by the features they offer. Plenty of additional extensions and apps make both the platforms perfect for eCommerce sites. WooCommerce and Shopify both platforms are fundamentally created with the purpose of providing a simple and user-friendly eCommerce solution. Therefore, both of them are easy to use. However, the question here is ‘Which platform is easier?‘. As mentioned above, these two platforms are fundamentally different types of systems, so they take different ways to create websites. Let’s discuss each of them below. How to start a WooCommerce Store? 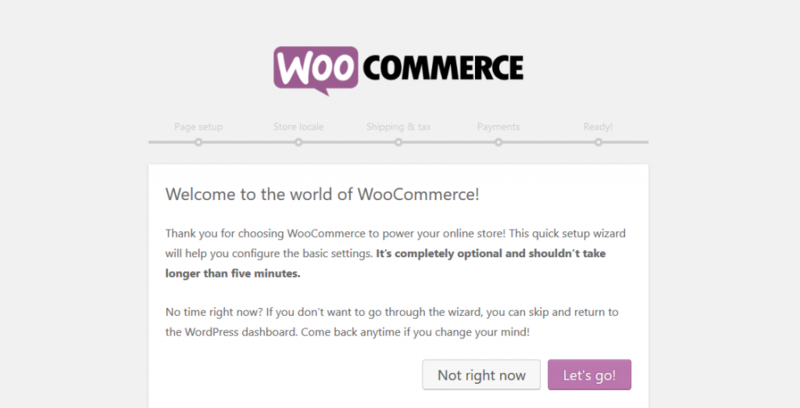 First of all, WooCommerce is an eCommerce software that requires being installed. So to start a WooCommerce store, you need to find a hosting company on your own, install WordPress on it, and then install WooCommerce plugin. To install the plugin, go to WordPress dashboard, click on ‘Plugins‘, and click ‘Add New‘. This takes you to WordPress plugin repository page like below in screenshot where you can search ‘WooCommerce’, then click on ‘Install‘ followed by ‘Activate‘. Once WooCommerce is successfully installed and activated, it’ll take you to the on-screen setup wizard. It explains you all the crucial elements of the plugin one by one in 5 steps. It includes page setup, store locale, shipping and taxes options, payment options and the fifth step is ‘Ready’ where you’ll find a button ‘Create your first product‘ which will take you to the page like in the image below. Now, this is where you can start adding products and customizing your WooCommerce store. How to start a Shopify Store? 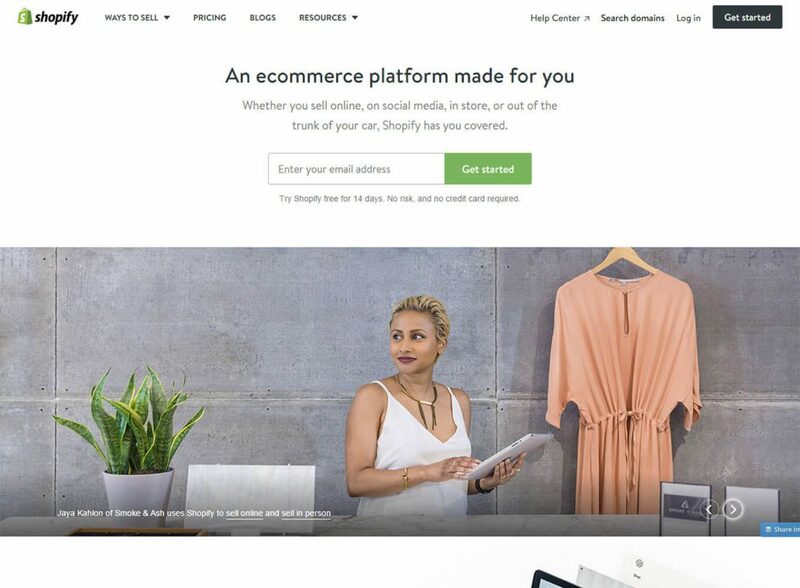 Unlike WooCommerce, Shopify is a subscription based service, a readily available eCommerce platform which doesn’t require users to get hosting and install software. The Shopify platform includes hosting with a highly intuitive eCommerce design that lets you easily add various products. To start with a Shopify store, just visit Shopify.com and choose one of the plans available. However, you can always start with 14 days trial and later switch the store to any of the plans. As you enter your email address, a password, and a store name, Shopify will take you through the setup wizard. It will take some 5 seconds, which will be followed by two steps where you have to insert a little about yourself and your store. And, this is how you get direct access to the dashboard like in the screenshot below. As you can see there in the image, it has really simple approach ensuring that all the necessary elements and options are placed together clearly. Store management, product management, customers, and reporting are within the easy reach of the user. Now you can start adding products, and see how your first Shopify store looks. It’s simple and you are almost done with all setup. In the nutshell, Shopify is more beginner-friendly keeping you away from the hassle of finding hosting, software installation etc. It’s an easy option for the layman users who are not friendly with hosting, software installation, and CMS. That being said, WooCommerce is as simple as Shopify to customize and create a complete eCommerce store once hosting and installation are done. The design is another vital aspect one must care when it is about doing an online business. An appealing and beautifully crafted design of the store can largely help your business to become successful. The design of an online store mostly means showcasing various products in a simple and attractive manner so the prospective customers can easily shop from the store. Hence, I have discussed how these two eCommerce platforms design below. As stated above, WooCommerce is a piece of software and a WordPress plugin which is why it doesn’t offer any specific design. The plugin is solely developed in order to add eCommerce functionality to WordPress. Therefore, the design of your WooCommerce store completely depends on your current WordPress theme. WooCommerce cooperates well with most of the free WordPress themes in official WordPress theme repository and most of the other premium themes on the web. WooCommerce and most of the theme providers follow the same standard guidelines which is why WooCommerce integrates well with almost any theme. Furthermore, there are several themes that have been built with WooCommerce in mind in order to provide seamless WooCommerce integration and great-looking design to your eCommerce site. Storefront is the official WooCommere theme created by the people behind the WooCommerce software. It is a free theme with a simple and basic design. Additionally, there are some Storefront child themes that come with additional features and unique design. Some of them are free while some cost $39 each. In addition, there are thousands of WooCommerce WordPress themes created by third-party theme providers across the globe. You can find plenty of free WooCommerce themes in official WordPress theme repository, premium themes at theme marketplaces like ThemeForest, and third party theme providers like ThemeGrill. Paid WooCommerce themes are cost-effective ranging from $39 to $99 each. There is no design limitation in WooCommerce platform. You can choose a theme from thousands of options and also easily customize your chosen theme if you have some coding knowledge. Design possibilities are unlimited with WooCommerce which is surely a great strength of this open source software. Shopify has over 100 visually impressive and full responsive themes in its official Shopify theme store. The design of your Shopify store is dependent on the design provided by the theme and the design is mostly like filling up the pre-designed style in Shopify platform. 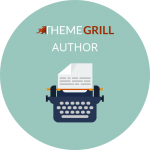 Among these themes, 9 of them are free and the premium themes are mostly available from $140 to $180 which seems quite expensive compared to WooCommmerce themes. 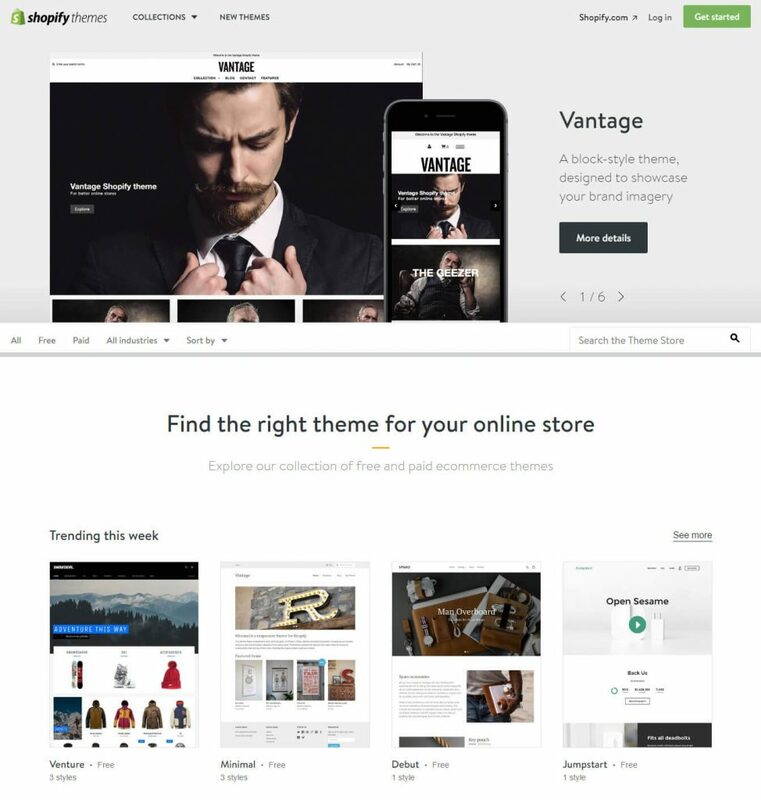 In addition to the Shopify built themes, there are hundreds of Shopify themes by third party theme providers available on the web. There are over 400 Shopify themes at ThemeForest marketplace and more themes can be found right from the site. The Shopify themes at ThemeForest theme marketplace cost $49 to $69 each. If you buy a Shopify theme from ThemeForest or any other third party theme provider company, you need to upload the theme to your Shopify account. In the nutshell, WooCommerce is the winner regarding the design possibilities. There are hundreds of awesome free WooCommerce themes while there are few Shopify themes for free. The official Shopify paid themes are quite expensive compared to official WooCommerce theme StoreFront and its child themes. Pricing is another important factor that matters when it comes to choosing eCommerce platforms. If you are on a low budget, you cannot go for a highly expensive platform. Anyways, you must carefully make a wise decision considering the budget you have for your project. As stated above in the table, WooCommerce is free open source software that costs you no money at all. All you need to buy is hosting service and domain. WordPress hosting can be purchased as low as $2/95/mo. at Bluehost and basic hosting plan at other hosting companies is also available for almost $3 to $9. However, I have chosen SiteGround’s GoGeek plan above to meet the features Basic Shopify offers. If you want to learn more about WooCommerce hosting pricing, check out this blog about best WordPress hosting services. As shown in the table above, stating a Shopify store seems quite costly. As it is a subscription-based service, there are not many options as for WooCommerce hosting plans. You have to sign up anyone from the three Shopify plans available. The three Shopify Plans are Basic Shopify ($29/mo. ), Shopify ($79/mo.) and Advanced Shopify ($299/mo.). The Basic plan is suitable for small startups and new businesses, Shopify plan is for growing medium-level businesses and the Advanced plan is for big enterprises. These plans basically serve as hosting plans for WooCommerce. When you sign up with any of the plans, you will get a free Shopify subdomain (eg. mystore.shopify.com) for free. However if you are doing a serious business, a Shopify domain may not be ideal. To get your own custom domain (mystore.com), you need to spend another $13/year at Shopify domain store. Apart from the three regular Shopify plans, it features other two plans names as Shopify Plus and Shopify Lite. Shopify Lite is the lowest priced service available for $9 per month. It lets you sell on Facebook, Messenger or any website/ blog. In the nutshell, WooCommerce is fairly low-budget platform ideal for startups and small businesses. In the beginning, Shopify seems costlier by some dollars however considering the ease of use and lots of free apps offered in the app store make the cost worth value. First of all, WooCommerce is free open source software so that support forum is the first place for customer support. Next, you can get support via support tickets. 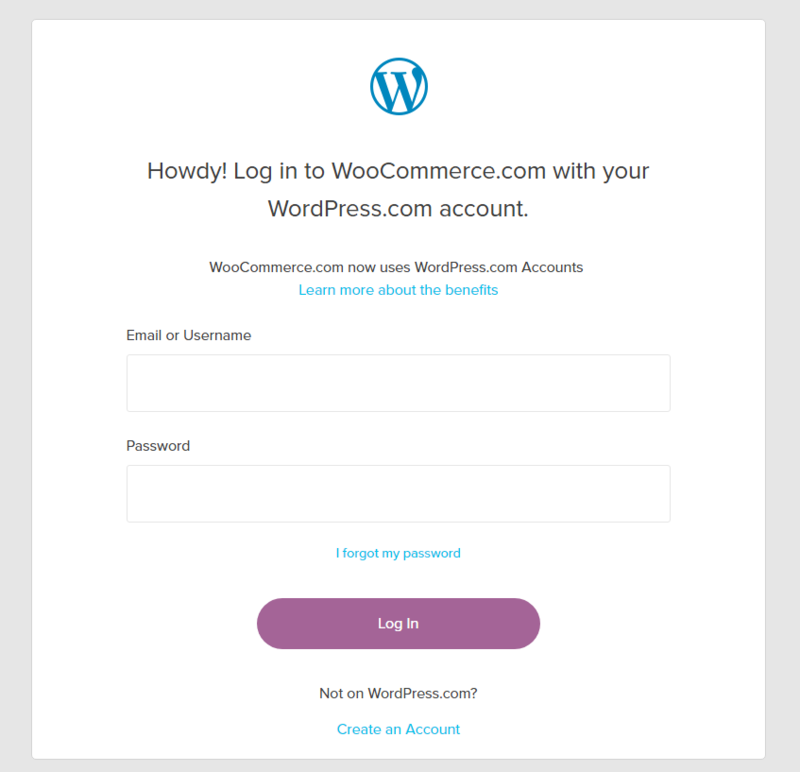 You can login to WooCommerce.com with WordPress.com account and put your queries. Additionally, there are plenty of documentation, reference materials, and tutorials at WooCommerce docs. Besides, you can get customization related support from the theme makers of the current theme. Shopify is fundamentally a paid service which makes the customer service more convincing than WooCommerce which is technically a free software. It offers 24 hours a day, 7 days a week expert support to its customers via live chat, email and phone call. The average wait time for chat is stated 4 minutes, 18 hours for email and phone call instantly responded. Besides, Shopify has an extensive documentation where users can find plenty of resources and tutorials. You can simply type your query in the search documentation box and it’ll display all the related results. In the nutshell, Shopify provides more dedicated customer service. WooCommerce also provides plentiful support however it’s not as promising as Shopify support in case of instant customer service. Lastly, here is a general rating for these two platforms based on the review given above. Keeping the comparison aside, WooCommerce and Shopify are doubtlessly the best eCommerce platforms so there is no mess choosing any one of them. However comparative analysis of the two platforms helps you to pick the more appropriate one. So, I hope this comparison was helpful for you to choose one. Now, you have to decide which one the best eCommerce platform for you depending on the priority. 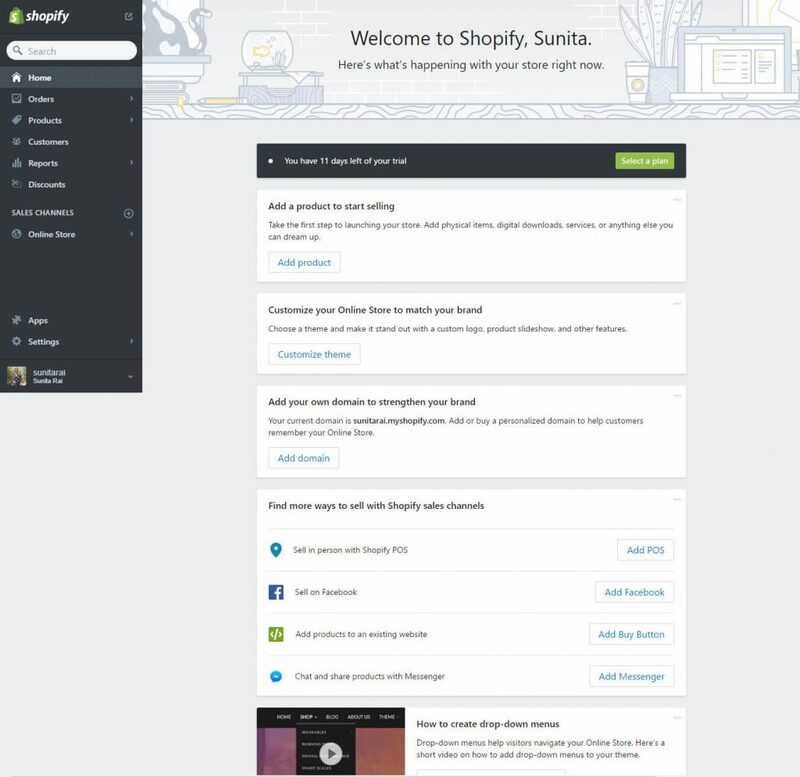 If you are a layman user or a noob in web design, Shopify may be the platform for you. And, if you have little knowledge about how websites work or little more time to learn, WooCommerce may be a better option as it provides more design possibilities and fairly lower price. Hi! Thank you for this detailed post. What would you recommend if I already have a WordPress with hosting and a domain name paid for? Woocommerce or Shopify Lite (the $9 version)? I want to be sure payments are secure, and I’m curious how the prices compare on those as I heard they both have payment processing fees. Do you think Shopify is more straight-forward versus needing to know all the customizations for Woocommerce plug-ins? Thanks! Given that you have WordPress hosting and domain name bought, I personally recommend you to go with WooCommerce. As mentioned in the article, WooCommerce is fairly a better platform than Shopify in terms of pricing, flexibility, and features. Payments are secure on both of the platforms if you take care of the security measure at best. Well, Shopify is definitely straightforward however WooCommerce is not so complicated either. Please have a look at the WooCommerce Set up tutorial first and decide what you have to start with. Great article Personally, if I can not keep myself from the installation, then I think I’m cheating myself with flexibility and control. But, when you do not want to worry about maintaining the software, Shopify is very good. It’s really a nice and helpful piece of info. I’m happy that you shared this helpful information with us. Thanks for sharing this information with us.